There is nothing better than a big ole piece of pie! It’s just the perfect dessert to me! 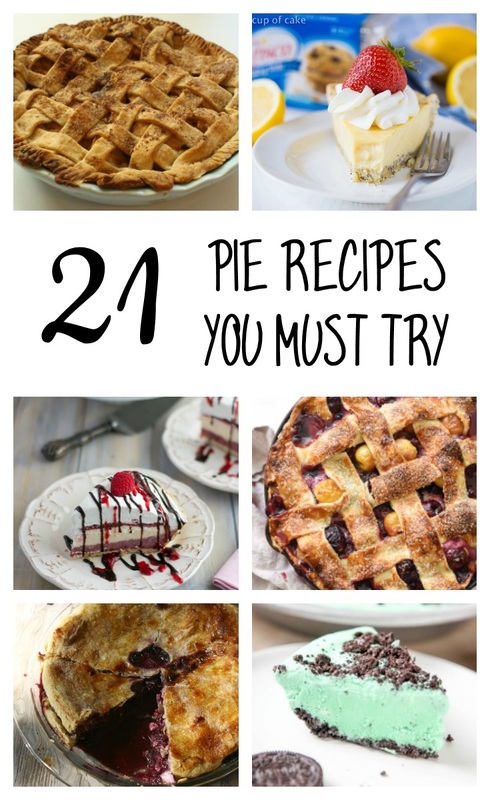 I’ve rounded up over 20 of my favorite pie recipes on the internet! Be sure to let me know which one is your favorite! 20 pies to choose from? Challenge accepted! All of these shall be made and eaten before the holiday season is over! Who doesn’t love pie? These recipes are perfect for the upcoming holiday season. I love to bake, and when I have a long list of things new to try, I get very excited! I am eager to try the s’more and cannoli pie! This list is delicious. I’ll take 4 coconut obsessed pies! I’m obsessed with coconut. These all sound so delicious. I have never made my own Sweet Potato Pie. I will have to give this recipe a try. So many pies, so little time. My favorite pie is strawberry rhubarb with crumble topping. So good. I want to try them all! I told my hubby I don’t want a cake for my birthday, I want pie. I would much rather have a birthday pie over birthday cake any day! Wow, are you kidding me?! This is a great resource with links to all these recipes. Thanks. The old fashioned apple pie alone is worth a look. I want to try so many of these recipes! I’m particularly looking at that chocolate peanut butter no bake. Sweets without using the oven is always a win for me! I have tried a lot of these. I wouldn’t mind trying them again though. A lot of these pies were really delicious. I love chocolate mint, so the Grasshopper Pie sounds delicious. What a great addition to my Thanksgiving menu! That skillet cherry pie sounds amazing! It’s always been my favorite but I’ve never tried it in a skillet! The cherry oatmeal pie has my vote. Looks yummy! All of these sound delicious. We are big pie fans at the holidays! This is definitely the beginning of pie season and I am more than a little excited. I think that cannoli pie is the perfect place to start.